When a fire happens to your home or business, you need to be able to rely on a high-quality fire damage restoration company that can be on the scene immediately! Rumsey Construction and Restoration is available 24 hours a day, 7 days a week so that if something happens to your property, you have the security of knowing that someone is on their way to help you assess and minimize the damage. One of the most devastating events that can happen to a family or business is a fire. Rooms are ruined, possessions are lost, and a sense of “What do I do now?” sets in a person’s mind. Allow Rumsey Construction and Restoration the honor of being your sense of hope. We specialize in fire damage repair and have years of experience cleaning and restoring properties damaged by smoke and soot. Our goal is to help you get back to a sense of normalcy as quickly as possible. We are a full-service restoration and construction company. 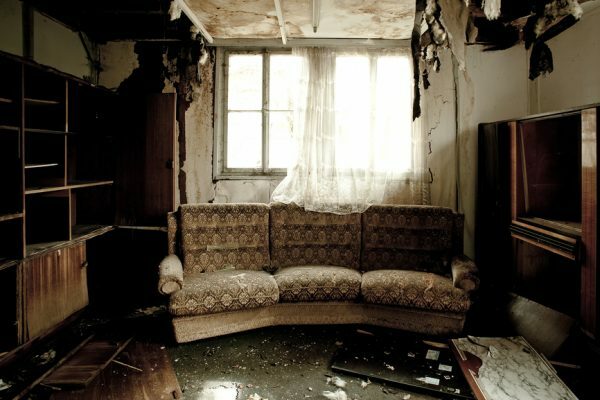 So after the cleanup is done, we can rebuild and restore your property to a pre-loss condition. Rumsey Construction and Restoration is here to assist you at every step of the fire damage restoration process. We cover every aspect of the repair process from the initial assessment and board up to the final reconstruction or full construction. Through the entire process, you only have to work with one team! The first step after a fire has damaged your property is to secure that property from more damage. With proper board up and tarping services, your home will be safe from anything on the outside that could get in. Rumsey Construction and Restoration responds immediately after a fire to board up your property. Fires often result in broken windows and damaged roofs, leaving your property exposed to outside elements, animals, and potential vandalism. We will make sure holes in the roof are covered and all windows, doors, and other entries are secured. We are always ready to respond to a fire emergency. You can count on us to be there fast, day or night. Discoloration of walls, corrosion of material, and – worst of all – odor, all accompany fire damage. Smoke can cover an entire home in less than three minutes. It is one of the most difficult aftereffects of a fire to remove short term and can be the worst for you long term. Because of this, it is the most important aftermath to treat. Smoke contains toxic chemicals that can be dangerous to your health. Also, the soot that attached to the walls becomes more difficult to remove over time. Soot, if not cleaned immediately can etch into glass objects and seriously damage other materials. Rumsey Construction and Restoration uses a combination of cleaning treatments, ozone, and unsmoke agents to permanently remove smoke odors and stains. We can arrive on the scene immediately to minimize the damage as quickly as possible. With a top-notch construction crew, Rumsey Construction and Restoration is ready to tackle any structural fire damage. Whether the fire or smoke damage was limited to a small portion of a property or a full renovation is needed, let the contractors at Rumsey Construction and Restoration take care of everything for you. We specialize in residential and commercial construction and reconstruction. Whatever needs to be done to get your home or business back, Rumsey Construction and Restoration can do it and will do it well. Our goal is to help you get back to your life as quickly as possible while ensuring the process is as stress-free as possible!